After living in the UK since 1993, I decided it was high time for me to be able to vote and choose the shortest queue (British word) at the airport. 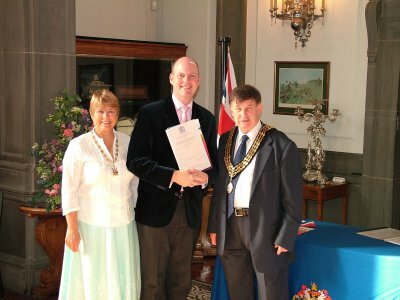 In February, I began the process of applying for my UK citizenship. I bought the study guide and took the test - sample question: "Put the following days in order: St. David's Day, St. George's Day, St. Patrick's Day, St. Andrew's Day" - then waited six months for my application to be approved. 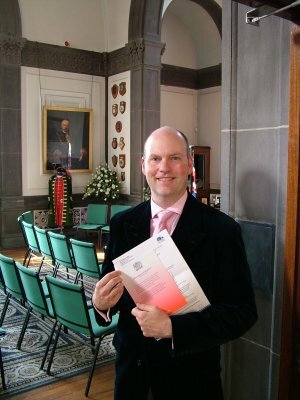 On September 19, 2006, I become an official British Citizen! 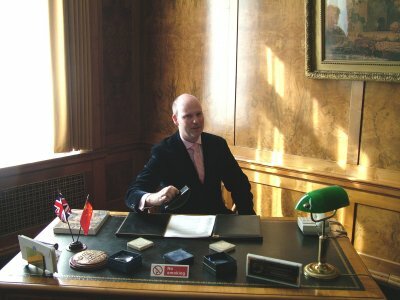 (Yes, I get to keep my American citizenship). 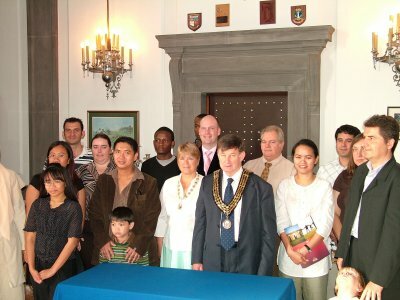 At the city hall, holding the oath I would later have to swear. 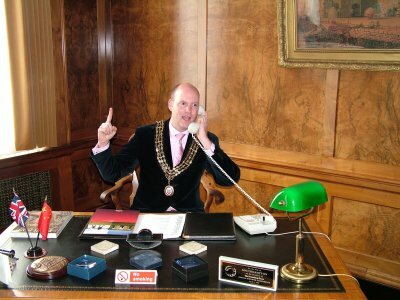 I had to swear allegiance to the Queen. 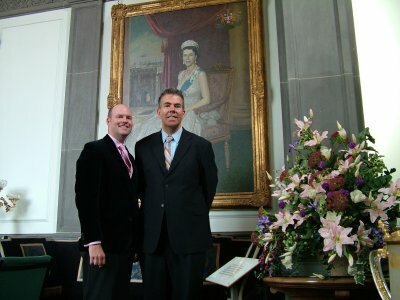 Nick and I stand before a portrait of Elizabeth II (or is that Helen Mirren?). 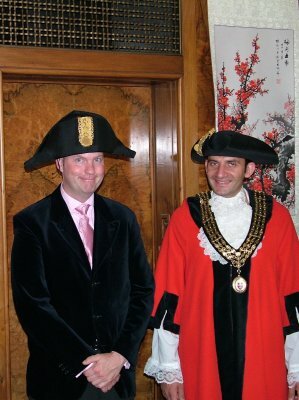 Hear I am, wearing a bicorn hat (no "bi" jokes, please), and standing next to another fellow citizen, who is decked out in full ceremonial regalia. 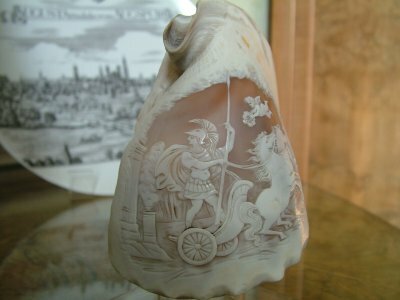 The mayor's office was full of gifts such as this carved sea shell. 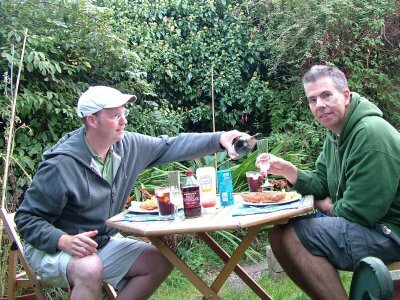 Back home, we celebrated with a champagne supper in the garden. 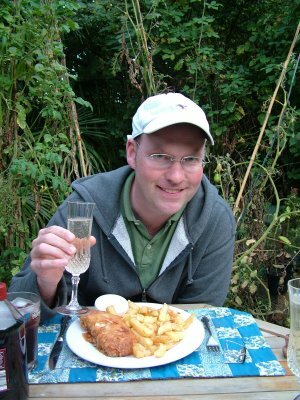 Fish and chips (and champagne).